A 30 Gallon fish tank is the perfect step up size from the smaller aquariums that most people start with. However, you’ll need to start thinking about improving the size and power of the filter within the aquarium to cope with the larger water volume. A 30 Gallon aquarium can soon become smelly, look terrible and have poor water conditions if you don’t have the right filter installed. As a responsible Pet owner or fish keepers, you have a duty of care to provide the best possible living conditions for your pet fish to thrive in. A Suitable filter in your aquarium you will not only look better but it’ll help you enjoy the beautiful sight of a thriving home aquarium with healthy fish. In this article: Filters For A 30 Gallon Aquarium. 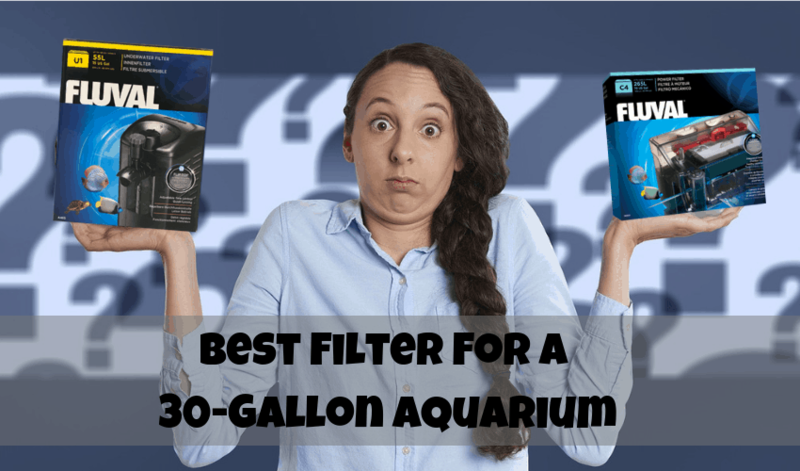 We’ll look at all the best possible filter options for your tank and narrow the search down to just 3 of the best type of filters for that size aquarium. The fish equipment market can sometimes see overwhelming and there’re so many makes and models to choose from sometimes you just get lost in all the technical jargon. So, Let us help you make the right purchase and find the most suitable filter for your 30 Gallon ( 135 Litre ) Aquarium. There’re four types of filters to look at on the market today that are suitable for a 30 Gallon Aquarium and these are the most commonly used filters. We’ll explain why these filters are the most popular and give you some Pros & Cons for each one. 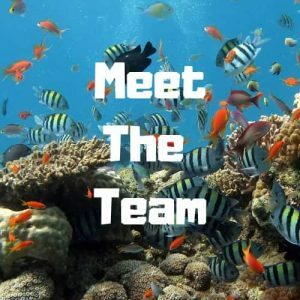 Then we will give you a link to the most suitable filter for your size aquarium and direct you to the cheapest place we found for that filter online. This will save you time and money. For smaller aquarium we recommend just three options but for slightly larger 30 gallon tanks you have an extra option of using an external canister filter. In our article: Filters for a 20 Gallon Aquarium we touch on this smaller type of filters in more detail. This is one of the oldest methods of filtering a 30 Gallon aquarium and is tried and tested and works well. The only issue you will face with this method is that it really needs to be installed when the tank is new. Adding one to an existing aquarium is hard! These come in all sizes so please check that one you need. You need one that covers the entire bottom of your aquarium. This unit hangs on the side or back of your aquarium and has one of two downpipes that reach into your aquarium. With the help of a motor in the HOB unit water is drawn up the pipes which bring water and debris with it which is then passed through a series of filtration medi which physically and biologically capture and break down the fish waste and dirt. The C3 Model will be fine for a 30 Gallon aquarium but the C4 model may make more sense if you’re ever going to increase the size of your tank as this model can filter 70 GPH. The link for both models are below. It’s a very efficient and effective way to clean a fish tank for very little money. Easy to clean and easy to install makes them one of the first choices to consider when buying a filter for a 30 Gallon ( 135 Litre ) fish tank. External canister filters are large filtereation units that sit outside the aquarium. They draw the water out of the aquarium through outlet pipes which feed the water into the bottom of the cannister. The water is then pulled up through often several layers of filter media which traps the dirt and cleans the water. The clean water is then returned into the aquarium using the pump inside the canister filter which is returned into the aquarium via an outlet pipe. This pipe can be placed anywhere in the aquarium and can be used to introduce a gentle water stream and current which will provide oxygen for your fish. Oxygen is the number one contributing factor to fishes health. Read why it’s so important and what are the signs to look out for if your aquarium has low oxygen levels. Then you can read how to increase the oxygen within your aquarium which will help your fish to thrive in a home aquarium. If You had a 40 gallon aquarium then we would recommend a filter around 50-60 GPH. I think you get the idea. No matter which filter your choose from the list above it will do the job. Simply buying a suitable filter will improve the chances of you having a healthier fish tank and enjoying the hobby more. No one wants to see and smell a dirty fish tank. Yuck!